Freedom to Roll Your Own? 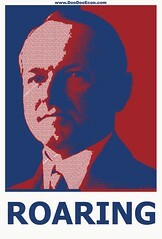 John Cullen Hagerty won't be waving his American flag this Fourth of July. His American Dream just got regulated out of business thanks to an interesting provision in the new transportation bill Congress just passed today to be on the fast track to law going into effect on July 1, 2012. Consumers can roll 200 cigarettes for a fraction of what 200 Marlboros would cost, and his customers note the quality of the tobacco is much, much better. It appears Big Tobacco and the fact roll your own cigarettes don't come with the federal taxes inspired enough members in Congress to sneak a provision in the transportation bill that makes the equipment Haggerty uses in his shop illegal to use under the legal conditions Hagerty has been using his machine. According to Hagerty, roll your own cigarettes is a lot like something I know a lot about, brew your own beer. You can escape paying federal taxes by rolling your own just like you can brewing your own beer and it's legal. This, combined with the fact Big Tobacco's lobbyists are very powerful in Washington, may be the driving reason Hagerty will closing his doors as these machines become illegal on July 1, 2012. The Pittsburgh Post-Gazzette writes about the driving reasons Congress has targeted stores like Hagerty's. Tobacco purveyors have a love-hate relationship with the high-speed, high-tech "roll-your-own" machines that allow customers to make cigarettes on the cheap. Those who operate them, and profit from them, love the machines. Those who don't say the machines might be illegal and are killing their tobacco businesses. 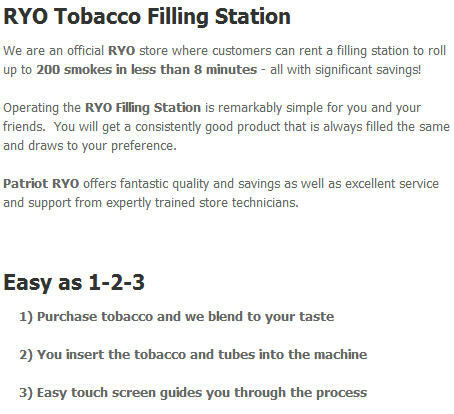 In the end, the government and the courts will decide whether these machines -- known as RYO filling machines -- represent a massive tax dodge or just a more efficient way to hand-roll cigarettes, something Americans have been doing for centuries. "These places are manufacturing cigarettes," plain and simple, said Regan Bartley, co-owner of Smoker Friendly, a tobacco chain with stores in West Virginia, Ohio and Maryland. Her stores are in competition with tobacco shops, gas stations, convenience stores and other businesses that buy or lease the machines. Here's the problem. 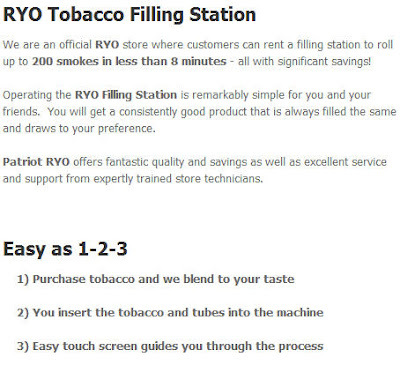 Technically, Hagerty and other RYO stores have never sold a cigarette they have manufactured. They aren't in the manufacturing business. Like a Build-a-Bear store, users use the equipment to build their own cigarettes. Hagerty rents the roller to his customers. Of course when you cut out the federal government from the slice of the pie, the federal government is going to find a way to bite back. This is just sad considering our Republic was founded on the ideas of limited government and fair taxation. We know tobacco has become a huge revenue source for the federal government and is taxed unfairly as Congress tries to regulate behavior. Hagerty and his employees never operate the machines for the customers. They answer questions, but never perform any of the manufacturing steps. Yet the government is trying to call them a manufacture. This would be the same premise of renting a shovel from your local equipment rental store and then taxing the equipment rental store on the size of the hole dug by the person renting the equipment. The federal Alcohol and Tobacco Tax and Trade Bureau says the roll-your-own machines take advantage of the "personal use" tobacco tax exemption so customers and stores can avoid paying cigarette excises. Take advantage of the personal use tobacco tax exemption? So with unemployment rising and Obama, Democrats, and Republicans all touting the merits of small businesses in the American economy, we are going to put stores out of business and tax payers who work at these places in the unemployment line all because people have found a legal way not to pay taxes on something they enjoy? Yes, especially when you look at the breakdown in Congress. The House voted 373-52 in favor of the bill, which was supported by every voting Democrat, while 52 Republicans opposed it. In the Senate, the tally was 74-19, with 23 Republicans joining every Democrat in voting for the measure. Sen. Olympia Snowe (R-Maine) voted present, while Sen. Daniel Inouye (D-Hawaii) missed the vote. Hagerty's own Congressman, Billy Long of Missouri's 7th District, who claims to be in staunch opposition to federal taxes and a friend to the small businessman voted in favor of the bill according to Congressman Long's Washington office, which I contacted this afternoon. According to the Pittsburgh Post Gazzette, these machines may have the title "high speed" but on average it takes an hour to roll the equivalent of four cartons. This isn't an efficient process considering how little there is to an actual cigarette, but that's not going to stop Fedzilla from chomping down on the small businessman. Hagerty is letting his customers know that because of this federal legislation, he is being forced to shut the doors on his three locations which create jobs in the Branson area. He is having five employees who will soon be on unemployment. The Middletown Journal writes this is a joint effort between Republicans and Democrats to tax these small businesses. In addition, the Secure Rural Schools amendment sponsored by Sen. Max Baucus, D-Mont., and added to a U.S. Senate transportation bill would categorize retailers providing roll-your-own machines to customers as mainstream cigarette manufacturers for federal cigarette tax purposes. Do these Republicans sound like they are small business friendly? Or are the fed by the big tobacco lobby who like the soft drink companies see consumers going to other products to fulfill their needs as these politicians see more revenue they can recklessly spend while threatening the livelihood of honest Americans trying to make a living in a tough economy? Once again, I ask is their really a difference between the two parties. They are fed by big corporations and always looking to feed on Americans by expanding the tax base. I don't see much difference between the two at all. Hagerty says he can keep his shop open, but to maintain the costs of the federal stamps and the federal license required to produce cigarettes is so far out of reach for a store his size that he can't possibly afford to become a federally licensed manufacturer. Once again, we see how government regulations kill the American dream. This time it's a Branson businessman who contributed to his country by creating jobs, contributing to the economy, paying federal income taxes, and collecting sales taxes for his community. Because he didn't pay a federal excise tax to his federal masters, Hagerty and so many RYO businesses like his have become victims of the federal leviathan. In a sad goodbye to his customers, a veteran broke down in tears in Hagerty's store wondering what the hell is going on in the country he fought for that he can't buy a bag of tobacco and rent a machine to roll his own cigarettes. It really is a sad statement about our country, a country founded upon great wealth thanks to tobacco. 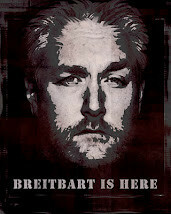 What a ludicrous story, when will all patriots realize that the GOP is not their friend? 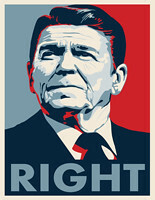 I will give the GOP the benefit of the doubt and call them idiots who do not pay attention to what they are voting for. That is about the nicest thing that I can say to this. That's not an excuse Doo Doo. I know Billy Long promised his constituents before getting to Congress that he would read the bills, and remember, the GOP made a huge deal out of Democrats who voted for Obamacare without reading it. Well, this confirms what I've suspected for some time: both parties are screwing us.